For some people, it makes economic sense to give up the house and move on. If so, there are a couple of ways to say goodbye to it; you’ll want to choose the method that causes the least financial and emotional upset to you and your family. A short sale might be close to impossible if you also have a second or third mortgage on your house. A short sale, by definition, fails to cover your mortgage debts. Your primary lender won't be made whole after the short sale; your second and third mortgage lenders will get close to nothing. All of your lenders need to agree to the terms of the short sale. If a lender refuses to approve the short sale, they will also refuse to release the lien on your home, and no reasonable buyer would want your home with unpaid liens still attached to the title. You might be able to get your lender to let you deed the property over so that no foreclosure is necessary; this is called signing a “deed in lieu of foreclosure.” But before you go this route, you’ll want to have an agreement (in writing) that the lender won’t go after you for any deficiency that remains after the house is sold. Again, you might face a tax liability if the lender forgives the deficiency. And once again, this remedy probably won’t be available if there are second or third mortgages. If you're facing a foreclosure, look into your options and don't wait to ask for help if you need it. Contact a HUD-approved housing counselor as soon as possible to explore different foreclosure avoidance options. Also, consider talking to a foreclosure attorney to learn more about the foreclosure process in your state and find out what you should do in your situation. Reinstate Your MortgageIf you have enough cash, you can “reinstate” your mortgage by making up all the missed payments (both principal and interest), plus fees and expenses. State law will probably give you a certain amount of time to reinstate. For example, in a California foreclosure, you have the right to cure the default and reinstate your loan for three months after the lender records a notice of default in the land records. If you don't reinstate or negotiate a workout during those three months, the lender can then send you a notice of sale, telling you that the house may be sold. (The sale date can't be earlier than three months and 20 days after the recording of the notice of default.) Even then, you can reinstate the loan until five business days prior to the date of sale pursuant to state law. a modification that lowers the interest rate or extends the term of the loan and, as a result, lowers your monthly payments. Even though you can work directly with the servicer, it’s always worth talking to a HUD-approved housing counselor. Their services are free, and they will help you explore possible remedies and negotiate a workout with your servicer or lender. You might have even more workout options available to you if your loan is owned, insured, or guaranteed by a government agency such as Freddie Mac, Fannie Mae, the Federal Housing Administration, the VA, or the Rural Housing Service. If you can refinance at a better rate and pay off your old loan, you can start fresh. All states give you the right to “redeem” your mortgage by refinancing up until the time of the foreclosure sale. Unfortunately, refinancing is tough if you have bad credit due to many late payments or pending foreclosure. 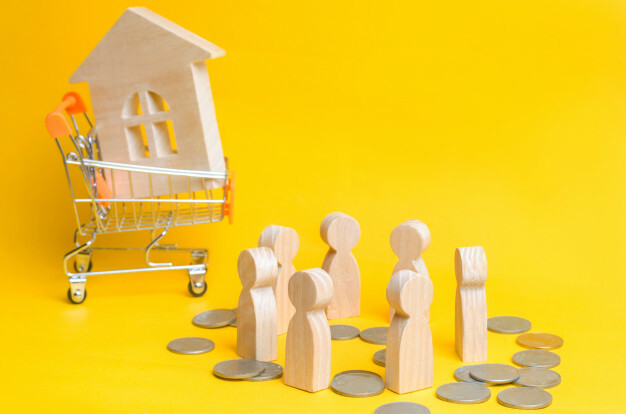 You might be able to refinance under the government's Home Affordable Refinance Program (HARP) if you're current on your mortgage payments and you meet other eligibility criteria. Be aware that HARP is set to end on December 31, 2018. A few states even let you redeem for a certain period of time after the sale.